Lijia Zhang‘s book tour for Lotus is a success! Lijia Zhang, skilled journalist, author, social commentator and speaker comes from humble beginnings. Born and raised on the banks of the Yangtze River, Lijia Zhang was pulled out of school at the age of 16 to work at a factory that produced inter-continental missiles. As an escape route, she taught herself English and dared to pursue her childhood dream of studying journalism. 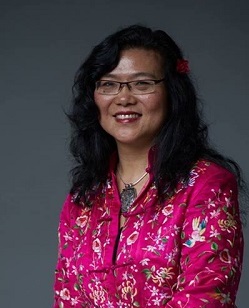 In her long career as a journalists, Lijia Zhang’s features, features, often very human stories about the plight of China’s “little people”, have been published in South China Morning Post, Far Eastern Economic Review, Japan Times, The Independent, The Observer, Newsweek and The New York Times. Her widely acclaimed English-language memoir, “Socialism is Great!” detailed her journey from being a rocket factory girl to a prominent social commentator. Her inspiring tale of great transformation and views on China through the years have been featured on the BBC, Channel 4, ABC (Australian) CNN, CBS and National Public Radio, among others. Lijia Zhang has been described by Tony Blair as “an inspiring example of promoting the understanding between China and Britain” in his keynote speech during his state visit to China (1998), has been voted one of the “40 Beijing heroes” by TimeOut Beijing (October, 2008), a subject of a BBC documentary Peschardts People (May 2009) and the recipient of the prestigious International Writer’s Program, University of Iowa, sponsored by the US State Department (2009). Contact us if you would like Lijia Zhang to speak at your next event. Congratulations to Lijia Zhang for Her New Book!